I have always wanted to go to Rio and dance during the Carnival. When I met Sylvain Leclerc and he told me he was heading to Rio to get ready for the upcoming summer Olympics, I had to know more. As Program Manager, Sport Relations for the Canadian Olympic Committee, he works with all the National Sport Federations in Canada to help promote our athletes in the media, and the public; at the Olympic Games and leading up to the Olympic Games. His goal is to have the athletes and their brand “out there” 365 days a year. 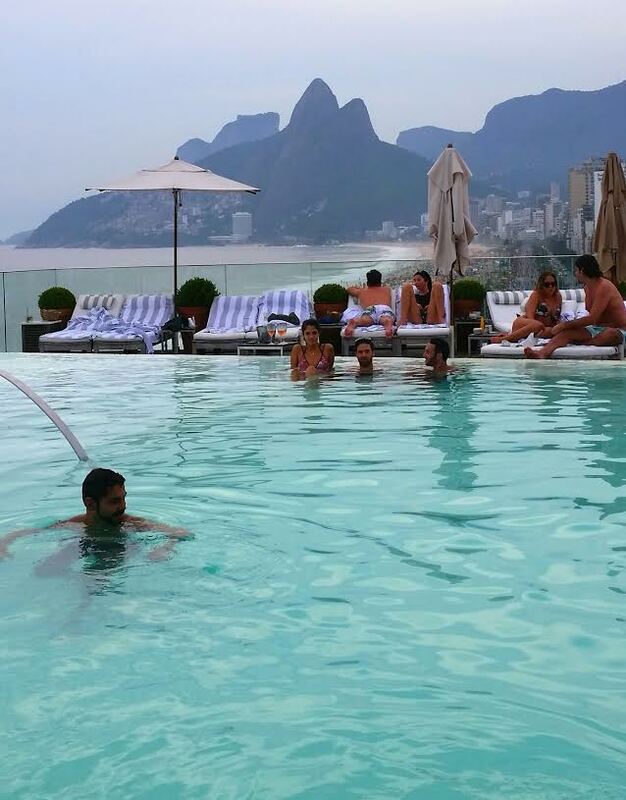 Sylvain went to Rio a few weeks ago with a few National team managers to do what they call a “familiarization visit”. They take a few days to meet the staff of the Rio 2016 organizing committee, to visit the game facilities; like Canada Olympic House and some accommodation properties, to test transport options and public transit, to visit venues and test them in competition setup, to help the game-time preparation and protocols, all in order to be as ready as they can to serve the athletes. 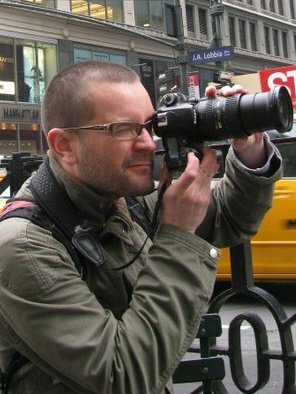 Sylvain lived in Rio for a few months in 2013 where he learned Portuguese and tried to find a job with the Olympics or the World Cup, so he is an expert on where to go and what to do. I was thrilled to chat with him about Rio, his passion for what he does, and to get some tips & tricks for those of you heading to Rio! Angelique: What do you LOVE about what you do? Sylvain: The fact that I have the privilege to help tell the amazing stories of these amazing athletes, and that I can help them shine in the eyes of the public. That I have the privilege to get to know these athletes, and that working with all the National sport federations allows me to widen my knowledge of amateur sport structure/governance across the country. A: How did you arrive at this job and why did you seek it out? A: What is your favorite aspect of what you do? S: Having the unique privilege to live, from the inside, the frenzy of the Olympic Games. It’s like a drug. It doesn’t get any bigger than this! The more you have, the more you want! A: What is your passion in life? S: Travel. Going to a different country every two years for the Olympics is a pretty cool way to discover the world and its cultures. A: What do you enjoy most about Rio? A: Where did you stay? S: A hotel in Ipanema and at friend’s place in Copacabana. A: What were the highlights? S: Going back to visit Santa Teresa, a hood where I lived for a month. Taking the Santa Teresa bonde for the first time (when I lived there, the bonde was closed because of traffic accidents that occurred in 2011). Going back to the Sunday Hippie Market in Ipanema. Getting a few drinks on a Saturday night, waterside, in Urca. A: What is the tastiest food you will experience in Rio? What are the top restaurants you recommend? 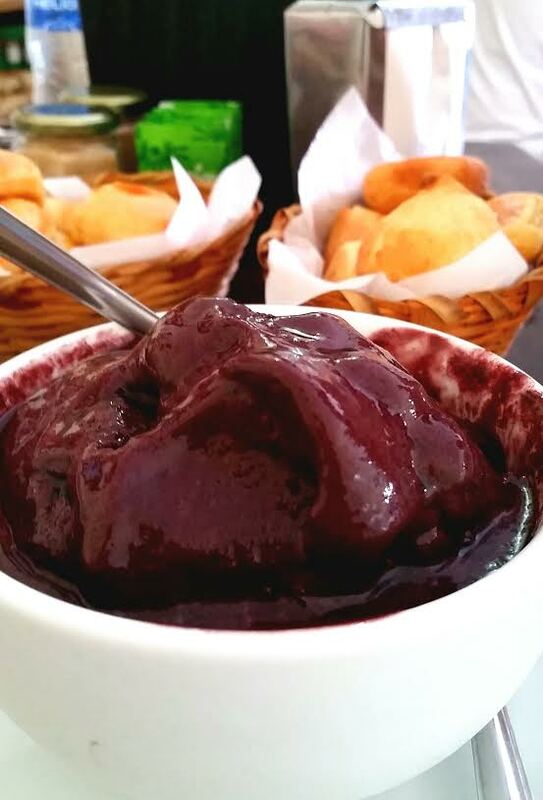 S: I’d combine both… 1- Two Brazilian classics: pão de queijo and acai. You’ll find these two treats at their best at a place (obviously, it has to be tiny …) in Santa Teresa called Cultivar (close to Largo do Guimarães). 2- Another Brazilian classic: picanha. To combine amazing picanha and Brazilian history and culture, go to Garota de Ipanema restaurant in Ipanema (remember the song?) 3 – Another Brazilian classic: churrascaria (Brazilian BBQ). Many places offer these orgies of meat. But since you won’t go eat churrascaria 25 times, pick a great place; Fogo de Chão won’t disappoint you. You don’t eat meat? No worries, their all you can eat bar has more amazing choices than a lot of vegetarian restaurants in Montréal! 4- Bahia food… some musts from this region you have to try, like the Moqueca de peixe… fish stew in spectacular coco milk sauce (to die for!!!) 5- YOU HAVE TO DRINK CAIPIRINHAS ALL THE TIME: it’s the national drink, made of cachaça. Sooooooooo goooood! After 3, you’ll be super happy. Try to avoid drinking the brands 51, Pitu, Ypioca… they’re legal poisons 😉 Good cachaça make great “caïpi”! A: How is Rio organized by neighborhood? S: Essentially the city is split in two zones: the south zone and the north zone. The south zone is the rich zone… this is where you have the wealthier hoods: Ipanema and Leblon (rent there is ridiculous! ), Copacabana, Botafogo, Urca, Leme, Flamengo, Catete, Gloria, Santa Teresa, Centro… this is where you have the towers (offices and flats). Most of the colonial heritage buildings are there (Flamengo, Catete, Gloria, Santa Teresa), but many aren’t well maintained, which gives another type of cachet. The south zone counts for about 10% of the territory of the city of Rio. The rest of the 90% is the north zone… the land of endless favelas, where tourists don’t really wander. I can’t really describe it because I’ve never been there. A: What hotels to you recommend? S: I’m not really familiar with hotel scene in Rio. The Copacabana Palace is an institution. But the Fasano Hotel, in Ipanema, with its spectacular view of the beach and Dos Irmãos, is now the VIP high end hotel in town! A: Any areas to avoid? S: Rule of thumb is: if you really want to go visit a Favela… 1- don’t go with a group of 25 people so you look like tourists going to see animals in a zoo. They are people too, not animals in a zoo! 2- don’t go alone 3- go in pacified favelas 4- go with a small group and go with local people. But don’t be surprised if you meet locals who refuse to go. 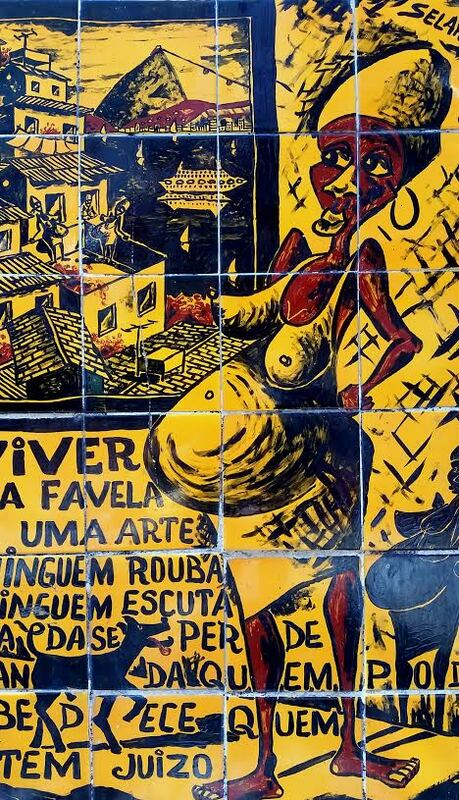 Locals who don’t live in favelas don’t necessarily go there. “I have no business going there so I’m not going.” It is not recommended for tourists to go in what is called the “North Zone”. A: Any yummy dessert(s) we need to know about? S: For a real surprising treat, go in a Rodizio de pizza restaurant and get some dessert pizza. A: What are the must see destinations? S: Scenarium… it’s a classic. In Lapa. And basically any bar in Lapa. Go on the weekend. S: I don’t think anything can compete with the Rio Carnaval. S: It’s a tiny one, but it’s in my opinion the coolest because it’s tiny and not many people go: Praia Vermelha, right next to Sugarloaf. S: My favorite one is the hippie market on Sunday at General Osorio metro station. 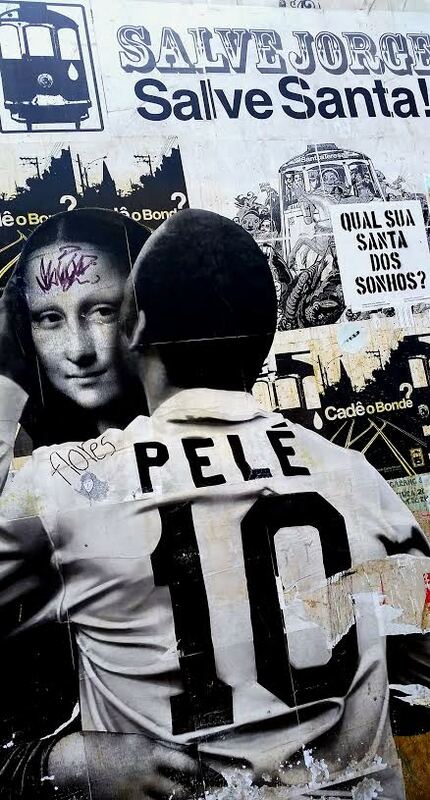 A: Tips & Tricks when in Rio? A: Where will the Olympics take place and when exactly? A: How soon should people book hotels? S: Ideally, you would have already booked your hotel. 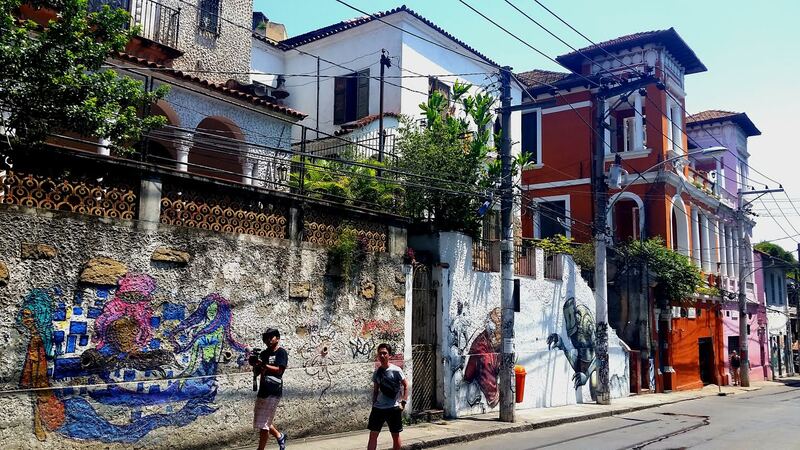 Rio will be a busy city this summer and you might have trouble finding a cheap room… If you want to rent a luxury apartment in Rio, here’s a good option. A: Where are the games happening? S: All the venues are located in four different clusters. 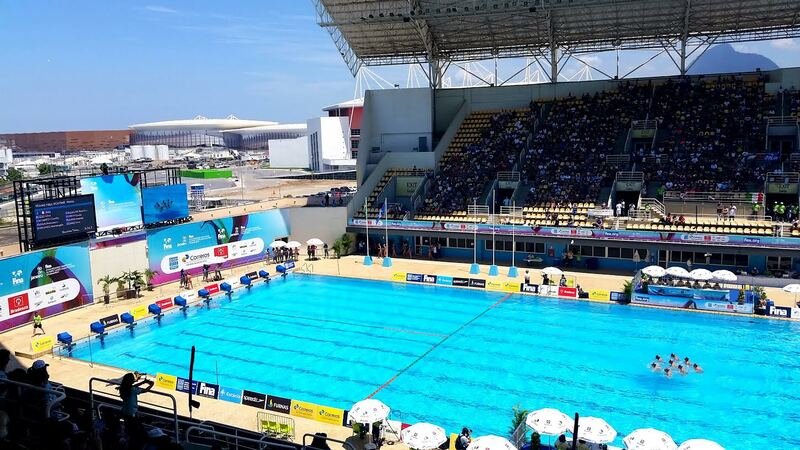 The biggest one is the Olympic Park in Barra da Tijuca, where most of competition venues are located. The Athletes’ village is also located in the Park cluster. The second cluster is the Copacabana zone, where mainly canoe-kayak/rowing and beach volleyball (with the stadium being built on the beach… how iconic!) will take place. The third cluster is the Maracana zone. The legendary stadium will host ceremonies (opening/closing) and football finals. Track and field will also take place in the Maracana zone at the Estádio Olímpico João Havelange. The last cluster is called Deodoro, in the north zone of the city, where events like BMX/mountain bike, equestrian, rugby will take place. A: What sport are you most looking forward to? S: Given the popularity of the sport in Brazil, I think the beach volleyball tournament will be one to remember. Same for football (especially because finals will take place at Maracana). I’m really excited to see the first Olympic rugby tournament ever, that should draw a lot of attention too. And athletics… because it’s athletics. A: What athletes are you particularly excited about? S: We’re expecting to have one of the biggest Team Canada delegations of all time in Rio. Our track and field, led by phenom Andre DeGrasse, is going to be THE thing to watch, as Canada won 8 medals at the 2015 World Championships, its biggest tally ever at Worlds! Our Women Rugby team will one of the most dangerous of the tournament. Our Women Soccer team, led by Christine Sinclair, will try to repeat its medal performance from London. The female divers (the FAB4) have gained a lot of maturity since London at won loads of medals since 2012, they’ll be dangerous! Canada is always a threat in rowing, track cycling, canoe-kayak. We might cause a few surprises in swimming. A: What challenges will the athletes face in Rio? S: The internal factors that always challenge athletes at the Olympic Games, the magnitude of the event, the noise, the pressure can sometimes throw athletes out of their comfort zone. This is what they can control and this is what they focus on. They have to find their zone, to peak at the right moment. At this stage, it’s not physical… all these athletes are super athletes, they all have the skills. It’s mental, it’s all about digging down, being willing to suffer, to go the extra mile! We are giving the best tools possible to the athletes and coaches to focus on performance and on the challenge ahead. A: What events do you have coming up? S: The next few months will be super exciting for the committee, for the sports and the athletes, and the public. Over the next 3 months, all the sports will conclude their qualification process. So when that process is over, we are organizing a series of public and media events to announce to Canadians which athletes will represent the country in a specific sport. These team announcement events will take place all across the country to engage Canadians into the Games. And other surprise events down the road to engage Canadians! Stay tuned! For more info on the Olympics click here. Good luck to all of our AMAZING athletes! All images provided by Sylvain. Carnival shot from iguanas.co.uk. Excellent! I will share these thoughts on my blog.